Tsubasa becomes a superstar amongst soccer players in Brazil. He is now planning to play in Europe. 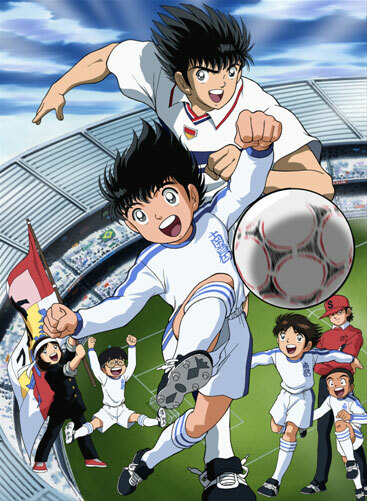 At an important must-win game, as the fans cheer him on, Tsubasa looks back at the days when he started his soccer life. His passion to make goals and win the game is as strong as it was during his childhood. He recalls the games and moments that had decisive impact on his life. He remembers Goalkeeper Wakabayashi, Genius striker Hyuga, tenderhearted Misaki and Coach Roberto. He was happy to meet them, enjoyed playing with them, and learned many things from them. The whistle sounds and the game begins. Tsubasa dashes for the ball! © 2001 Yoichi Takahashi/ Shueisha • avex • TV Tokyo. Produced by TV Tokyo • Dentsu. Licensed by Animation Int'l Ltd.